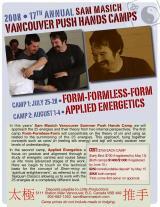 This work will build on eight years of work with the 25 energies theme and will take things to a new level! You may want to register before the May 15 deadline if you want to ensure a space. 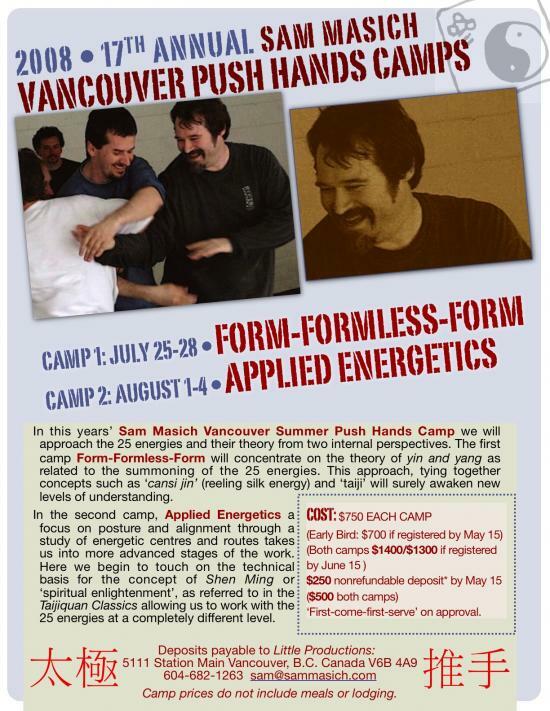 "Having just returned from the 16th Annual Vancouver Push Hands camp, I am once again awed, amazed and inspired by Sam's demonstration and articulation of the magic and mysticism of taiji. Not only does he masterfully demonstrate the physical genius of this art, he offers his students a insightful, detailed process by which to individually progress down this path. The high level of skill he displays coupled with his astute instruction of the art make him a remarkable teacher."